I am 25-years-old and live in the United Kingdom. I was diagnosed with Crohn’s disease at the age of 11 and had a reversible loop-ileostomy formed in October, 2013. The symptoms of Crohn’s continued to worsen, so I decided to make my ileostomy permanent in November, 2015. As many of you will have worked out from my name, I am of Indian origin. I feel that unfortunately there is a lack of awareness of Inflammatory Bowel Disease (IBD) in the south Asian community. Therefore, my hope is to increase understanding of IBD so that others living with IBD will not face the same social difficulties as I have. I believe that mental and emotional well-being is as important as physical health, so my mission is to spread as much love and positivity as possible. I've volunteered at Crohn’s and Colitis UK for several years, and I’m also a contributor to the SecuriCare Blog. 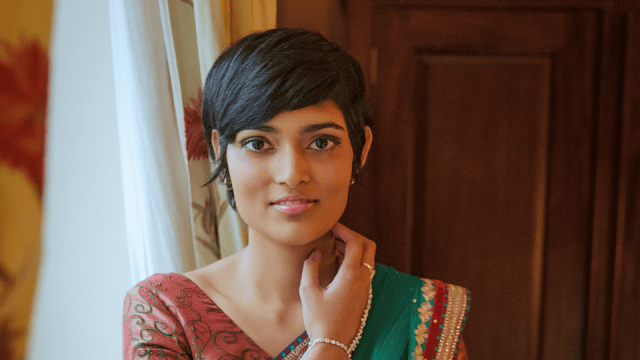 Rakhee Patel shaved her head to raise awareness for Inflammatory Bowel Disease.